In a city as massive and concentrated as Toronto, people find themselves bombarded with typography at every turn. From the innumerable books students are expected to read for class to the billboards and advertisements that cover Yonge Street, typography is inescapable. It’s no surprise, then, that many are interested in the process of letterpress. 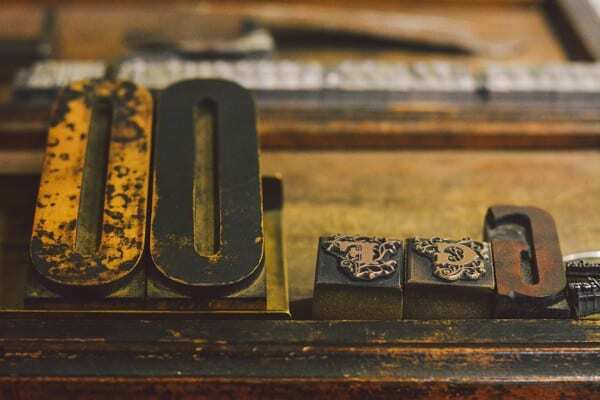 There are numerous presses spanning the city that offer a variety of services for education in the art of letterpress. At Queen and Crawford, Graven Feather embodies the artistic world of modern letterpress. Since it opened four years ago, it has functioned as a gallery space, creative workshop, and storefront. They have artist residencies almost every month; the current exhibit by Natalie Draz features large designs made from printed materials and pop-up books that feature scenes of Montreal and Toronto. Graven Feather specializes in public engagement rather than production; they encourage people to take workshops and learn how to make their own letterpress work. They even have educational programming where they bring in students from high schools and universities to learn about the art form first hand. Lobb and co-owner Erin Candela often sell their personal work commercially, like a letterpress calendar they put out every year. Another project included input from a graphic designer and a chef to create holiday recipe cards. Their work is dynamic, much like the history of letterpress itself. Future goals for Graven Feather include expanding their collaborative efforts. This mode of work comes partially from necessity —their letterpresses are smaller, older models, that lend themselves to handcrafted projects — but is also the nature of the space that they’ve created, in which designers, photographers, and writers all utilize the studio. If you’re intrigued by the world of Graven Feather and want to learn more, there are plenty of opportunities to do so on the U of T campus. Located a block away from Robarts Library is Coach House Books, which continues to press some of Canada’s most exciting writers. The team is always looking to show students the latest in the literary community and the history of Toronto letter pressing. On the opposite side of campus is the Kelly Library Print Room at St. Michael’s College. 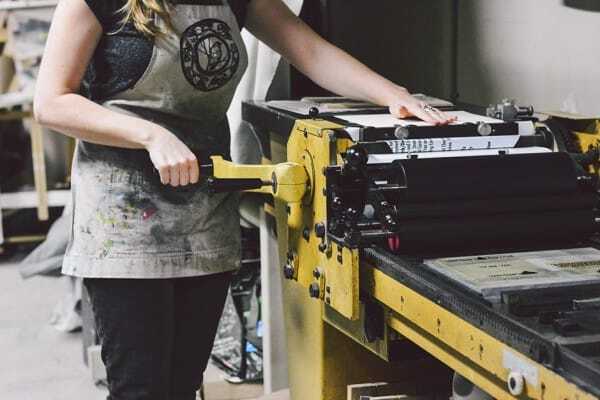 A part of the college’s book and media studies program, the Print Room works closely with students to produce cards and stationary to keep the history of letterpress alive. The program boasts six working presses that range from over 60 to 100 years old, and they even display some other machines as feature pieces on the first and second floors of the library. Smack between these two locations is another press, found at Massey College, where the book history and print culture collaborative program is housed. The program looks to preserve and pass on the skills of letterpress and provides sanctuary to a collection of nineteenth century hand presses. Students enrolled in the program are required to demonstrate to classes how the presses work.